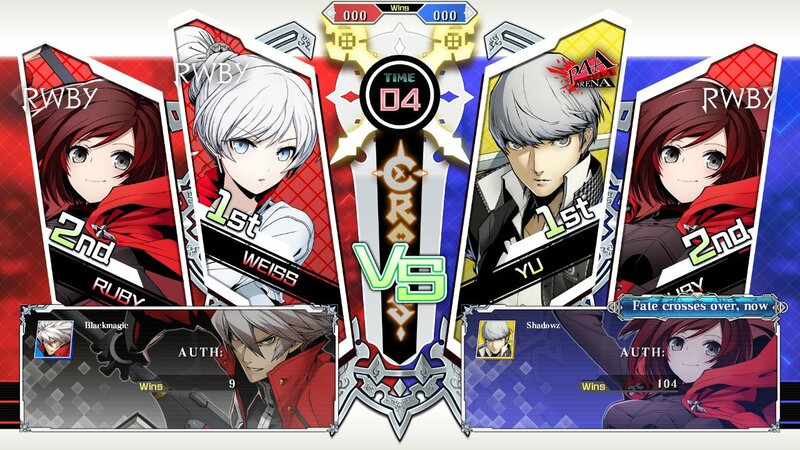 BlazBlue: Cross Tag Battle surprised a lot of people when it was announced, for it united four very different franchises under one fighting game banner. What’s more, it’s the first true video game that features the characters from RWBY (a fan-made game was done with them but we don’t count that). Some of us were happy to hear that the past weekend was an open beta for the game on Nintendo Switch, so two of us decided to jump in and have some fun, as well as see how the game holds up on the Switch. Here’s what the team said. Full disclosure, my fighting game expertise is limited, very limited. I usually play Super Smash Bros, and I’ve dabbled in games like Street Fighter, Tekken, Mortal Kombat, and more over the years. I have a great appreciation for the genre mind you, I even used my senior project at DePaul University to make a fighting game featuring my team in the class. Anyway, so with all of this, why did I try BlazBlue: Cross Tag Battle? Easy, it has RWBY in it, that’s enough for me. Admittedly, I had played Blazblue once on 3DS, but on Switch it was a much more in-depth experience. One thing I was grateful for right off the bat was that there was a “Tactics Mode” that allowed players to learn the ropes and also find out some of the deeper movesets of the game. Even for those who know the BlazBlue franchise well should try this. Then, there as the “VS. Mode”, which I also enjoyed, it helped me get in rhythm as I used Ruby Rose and Weiss Schnee and got used to their moves more or less. But, the real test, and fun was when you hopped online. BlazBlue: Cross Tag Battle has a TON of lobbies, and each of them have rooms where people can meet and have matches. I honestly only played with Will (who you’ll hear from in a bit) to start, but after starting to write this I went into the lobby and played against some other people. There are standard things that need fixing, like putting people with 10 wins against people with 100, but I’m sure it’ll happen when the full game comes out. As for lag. I didn’t experience it with my matches with Will, at other times though it did happen. I know it was because of my challengers and not me, but it’s also something that could get worked out later. The battles themselves are fast and intense, and skill absolutely matters, which is why I recommended Tactics Mode before you start. Though Will may not admit it, a lot of our matches were close because he likes fighting games and I understood the controls enough to hold my own. I lost way more than I won, but I’m ok with that, again, I’m not an experienced fighting gamer. One thing I was worried about was how RWBY would be translated into the game, but my fears were allayed almost instantly when I saw the opening and closing comments that the girls had with various characters. I highly recommend paring Ruby with Ragna at some point, the conversations they have are hilarious. Make no mistake, the game is fun, and anyone who likes technical fighting games will be pleased. However, I had issues with the control scheme. Thankfully, you are allowed to map them to your liking, but even then, it didn’t always work for me. A repeated frustration was that for whatever reason I couldn’t activate my Resonance Attack. I knew the motion, I even mapped the buttons so I could do it easier, but the “sensing” of it was around 33%. And other moves that required you to use the analog stick to “guide” the sequence also had a spotty record. Still, though, I highly recommend BlazBlue: Cross Tag Battle, especially if you’re a fan of these franchises. It’s clear Arc Systems put a lot of time and effort into making them shine. And hopefully, with these critiques of the control scheme and whatever else players find, it’ll be even better by the time the game releases in June. Yes, young grasshopper Todd. Learn from your victories. But know that the wall is high should you climb it. One thing that I got from the BlazBlue: Cross Tag Battle beta, this game is pure fan-service. Take beloved series and mash them together with the Arc System treatment, you will get this. If you are any fans of the series mentioned, Blazblue, Persona 4 Arena, Under Night In-Birth, or Rooster Teeth’s RWBY series, then you will enjoy this game. 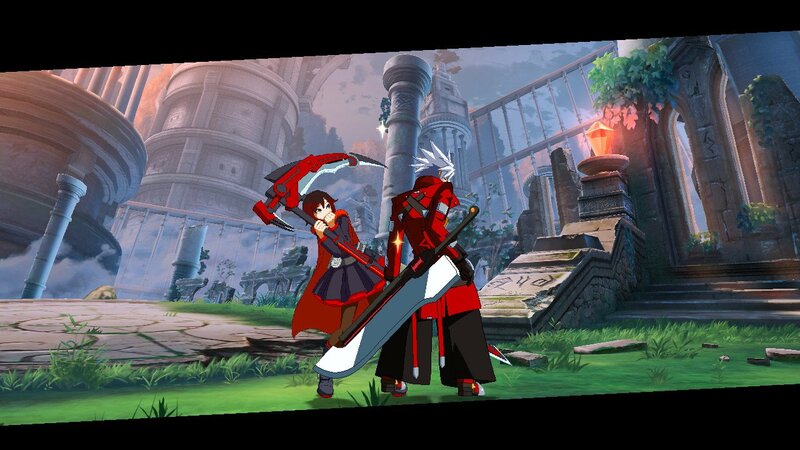 Hearing Ruby Rose fangirl over Ragna’s weapon and hearing the banter between characters is just fun and hilarious. Of course, there is an option to choose either the English or Japanese dubs should you choose. Even the alternate colors is a reference to their series and other games. They even have a Gambit skin for Gordeau to pay respect to the original Marvel vs. Capcom! Gameplay-wise, it should be familiar if you played any of the Arc Systems fighting games. It combines the technicality of Blazblue, but also easy an accessible like Persona 4 Arena. The game appears daunting to newcomers, but that is what tutorials are for. The game teaches you the basics mechanics and how to fight. Of course, if you wish to play with a controller, arcade stick or other control scheme is all up to preference. Though I understand that an arcade stick is preferable due to buttons being spaced and separated. There is the smart/auto combo they added in recent games, so new players can still play and feel they have a chance. Course there are advance combos that will require input and will force newbies to get out of their comfort zone and learn if they want to stand a chance against stronger players. Accessible, but to master it will take effort. The fight itself, it’s just like Blazblue, Persona 4 Arena , or the other games. You can read my first impressions when I played the game back in NYCC, as most of my thoughts are generally the same. The clash assault is always fun to land but it also has an added benefit. If it lands, you have an opportunity to gain a special meter. To gain it, you need to either get a excellent or marvelous when you strike your opponent. All you need to do is hit you opponent when they are at the peak of the launch. The juggling between your special meter and partner meter is just one of the aspects I like about this game. From chaining specials, using your partner effectively, and changing your attack patterns, it has the core elements of any fighting game and what Arc Systems does well. Playing the Switch Version of the beta, the online itself is as expected. I faced a person and the match starts at a crawl, like 5-10 frames a second crawl. It eventually smooths out as the match progressed. Then there are times that I have no problems whatsoever with smooth frame rate with my opponent. Naturally its dependent on both sides internet connection. Of course, it you face someone close to your region, the smoother it is. I would’ve like to see any indication of the quality of the connection, like internet bars. I also would’ve like an option to choose the region you are playing to mitigate laggy matches, though I feel they will add this in the full release. Of course, I want to play as more characters and it shame that the offline demo will only have 4 characters to play as. Those being the protagonist of each series. This brings back the dreaded reminder that more characters are coming paid DLC. While the rest of RWBY will be free, the others will required to pay. Again, about half the roster behind a pay wall. Aside from these gripes, I thoroughly enjoyed the beta. The customization of your chibi avatar, the general performance of online and gameplay, it shows promise. All it needs is a bit more polish and extra features and it will be a worthy addition to the Switch library. Hopefully, the online portion will be improved upon as its vital for a fighting game to have a smooth online performance. Can’t wait to see the full product in June. 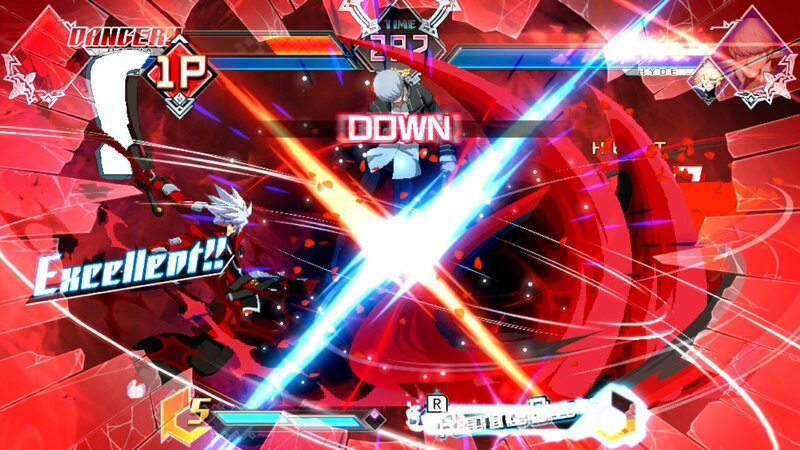 What did you think of the BlazBlue: Cross Tag Battle beta? Let us know in the comments below!